Everlube® Products are a range of tough coatings know as dry film lubricants that provide low frictional resistance between two mating parts. Dry film lubricant coatings have different properties depending on their structure and composition. These properties can be for high load bearing, very low coefficient of friction, high temperature and also increased resistance to chemical attack, abrasion and corrosion. The Everlube® range includes environmentally friendly and REACH compliant coatings as well as air cured, high temperature and PTFE. In addition to the Everlube® range other leading product brands include Lube-Lok®, Lubri-Bond®, Ecoalube®, Ever-Slik®, Esnalube™, Perma-Slik®, Kal-Gard®, Electrobond®, Formkote® and Henco-Mask™. Dry film lubricants are often used when other lubricants such as grease and oil cannot be used due to temperature load, wear, migration and debris when the liquid can change fluid state and will no longer provide protection. In these conditions a dry film lubricant will remain intact and provide continuous lubrication. There are two main categories of dry film lubricants which are crystalline lattice (lamella) type structures such as Molybdenum Disulphide, Tungsten Disulphide and Graphite and Fluorocarbons such as PTFE. 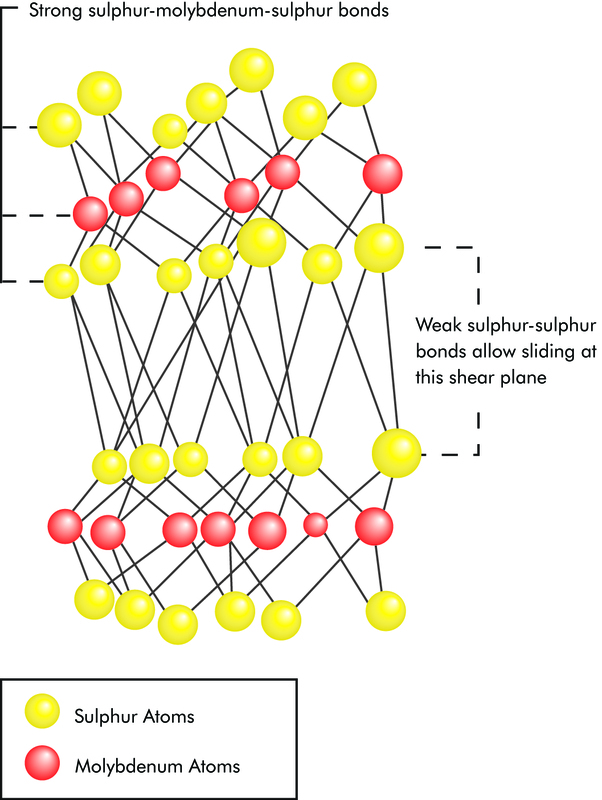 For crystalline type structures such as Molybdenum Disulphide (MoS2), the shear forces between the layers are weak resulting in lubricity between the sliding surfaces. 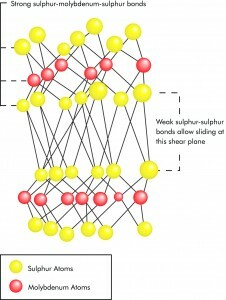 The key factors for PTFE coatings are firstly its ability to resist attack from another chemical structure, secondly its bond strength and thirdly its ability to repeal other atoms which in combination gives PTFE coatings their ultra-low coefficient of friction and excellent chemical resistance.